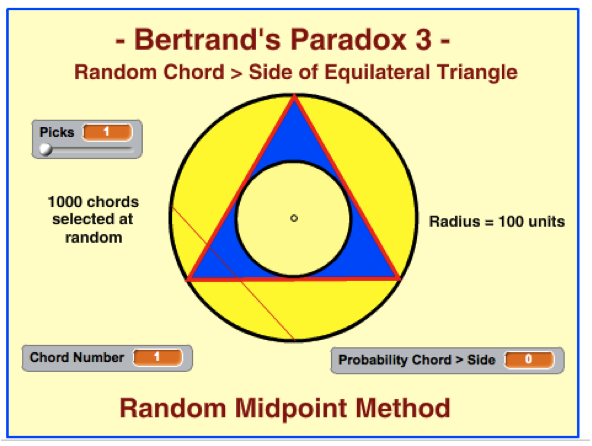 In my April 21, 2014 post, Bertrand’s Random Chord Paradox 1 (http://www.scratch-blog.com/2014/04/bertrands-random-chord-paradox-1.html) I presented the first of three methods for randomly selecting a chord in a circle with an inscribed equilateral triangle and then using the Monte Carlo method (coded in Scratch) to experimentally determine the probability that a randomly selected chord is longer than the side of the inscribed triangle. For the random points on the circumference method discussed in the post, the probability is one-third (1/3). 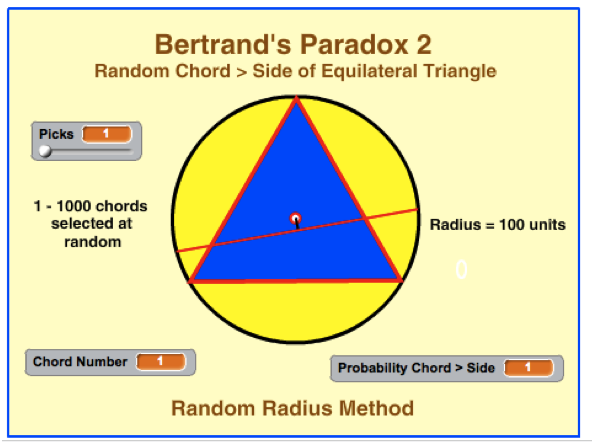 The paradox arises from the fact that two other equally valid methods for picking the chord each give a probability different from one-third. the Monte Carlo method correctly approximates the probability that a randomly selected chord, using the random radius method, is one-half. 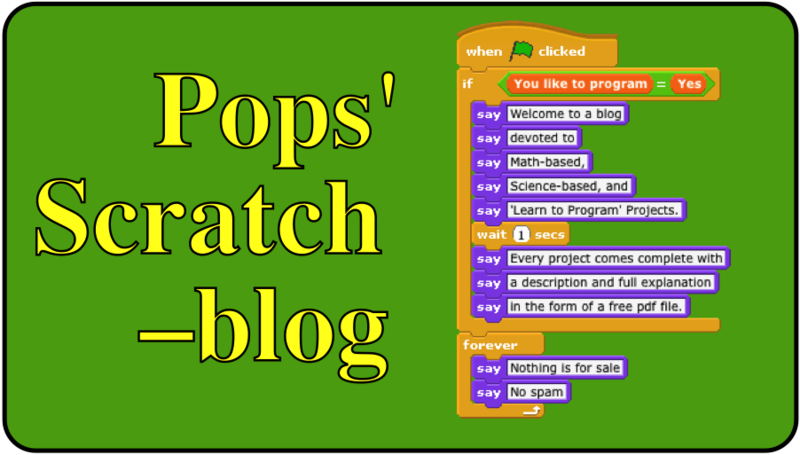 using the random midpoint method, the probability is found to be one-fourth! The theoretical derivations for the three methods are presented in a three free, PDF files that can be obtained by sending an email request to grandadscience@gmail.com.